Teen Pride Arts is back, save the date! 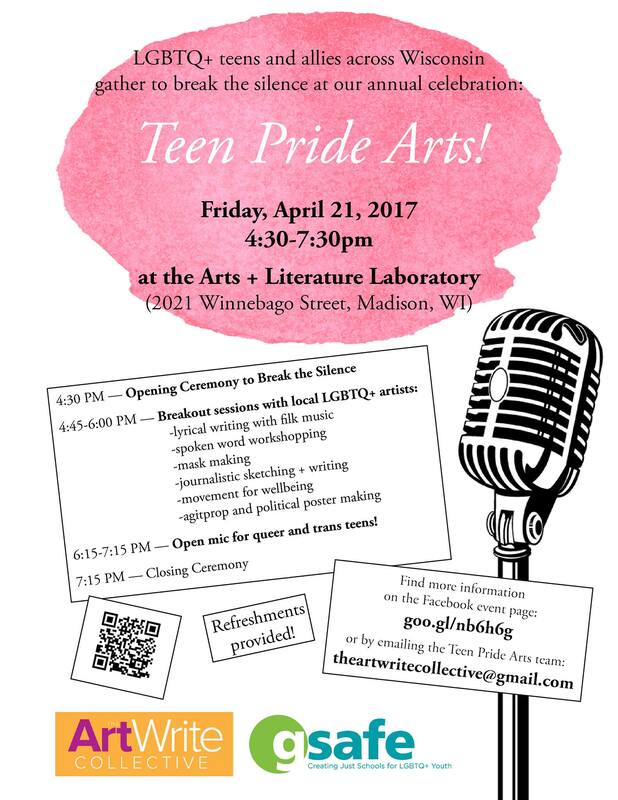 LGBTQ teens and allies from around the city and state will converge in Madison on April 21 to celebrate our creativity and our strength. Taking place on the evening of the Day of Silence, help us break the silence with visual art, spoken word, writing, and movement. Expect an opening ceremony, breakout sessions, open mic, food!